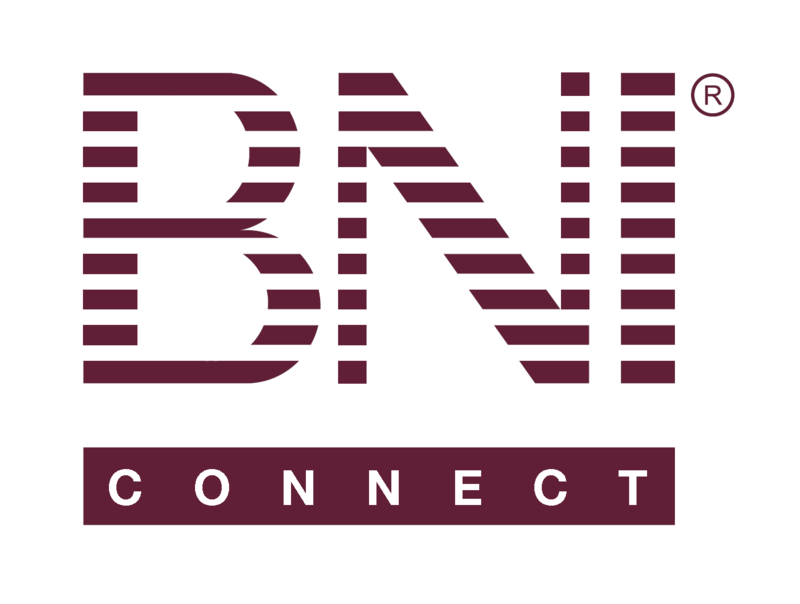 Entering One to One Slips Online – BNI Connect & BNI University Support - How Can We Help You? After meeting with a fellow BNI member, your One to One slip can now be entered any time online by following these few simple steps. Either party can enter the One to One and both members will get credit! The chapter will automatically reflect your chapter. This slip will be automatically applied to the NEXT meeting's chapter PALMS report for you AND your One to One partner. Choose the chapter member who you met with from the drop down list. If your region allows cross-chapter tracking, you may search for a member within your region by clicking on "Search Cross Chapter". See additional instructions below. Select which member initiated the One to One meeting. Enter the location where you held your One to One meeting. Enter a brief description of the Topics of Conversation. Select the Date that you met with the other person. Click Save and New to submit this slip and immediately enter another One to One slip. Click Save and Quit to submit this slip and return to the home screen. Click Close to discard this slip and return to the home screen. Only 1 Slip Needs to be Entered for a One to One Meeting! Clicking on the Search Cross Chapter button will allow you to search for another member in your region. Enter at least the first two characters of the First Name. <And\Or> Enter at least the first two characters of the the Last Name. <And\Or> Enter at least the first two characters of the Company Name. Click Search to find the member. Click Reset to clear your search and begin a new search. Click Back to cancel the search and return to the TYFCB slip. I can not put in the date. Are they working on a fix to this? When the dates aren't saving correctly for the 1 to 1's, it is usually that a security setting in Internet Explorer is to blame. Sometimes this is caused by an overly aggressive antispyware\antivirus program or a recent update on the computer. One of our members had the same issue and it was as simple as closing Internet Explorer and opening it again using something like Foxfire. On another note. The only one to ones that are tracked on my summary report are the ones I entered. I realize if a fellow member enters our 1-2-1 it shows up on the PALMS report and it is credited to my 1-2-1's. I should be able to look back on my summary and know who and when I had 1-2-1's with not only the ones I enter. The online slips module is due for a revision sometime at the end of Q1 in 2014, so various enhancements will be seen by then.We look forward to these enhancements. Many thanks for bringing this to our attention from your field experience. I cannot enter any information period. This system is not working on my computer. Can you please raise a support ticket by emailing to: support@bniconnect.com so that we can assist you further? Why are cross chapter 1-2-1's only allowed within the same region? I just had a 1-2-1 with a BNI member who is just two miles from me, but our chapters are in different regions. It seems crazy not to count it. Thank you for your comment and excellent observation from you. It has been a journey and will continue to be a journey. The online slips came live 18-months ago and is continuingly being reviewed and further developed. In a coming release end April, we will have the ability to select a sponsor worldwide. This is big step forward. Taking little steps forward from there on, we will reach our destination in making worldwide membership selections in submitting slips a reality. Thank you once again for your observations, comments and feedback. I don't understand what "Draft" means on my one-to-one report. How do I change it to "Completed" since the one-to-one is complete? Otherwise my stats are incorrect. When online slips are submitted by members, they are automatically entered into the next PALMS report, which at that point is in DRAFT status. Your online slip is tallied immediately in 'Review My __ Slips' and will also show that its status is DRAFT. Once the PALMS Report for the week is prepared by the S/T of your chapter and is submitted, the PALMS Report status changes to COMPLETED and your online slip is also updated to COMPLETED. Hope that this helps explain the process ... if you have any further questions, please do not hesitate to contact us. Thanks ... and have a great day! Two questions about 1-2-1's: 1) Cross-Region 1-2-1's; and 2) Double entry of 1-2-1's. Cross-Region 1-2-1's: I visited a chapter this morning in another region. I cannot find the names of the people I met with. On Apr 2 above, Riyaz mentioned a new release, which will allow someone "to select a sponsor worldwide". Is is possible yet to enter a cross-region 1-2-1? Is this functionality ever intended to be rolled into BNIC, since one purpose of BNIC is to allow worldwide networking? Double entry: Your instructions above are pretty clear that only ONE member needs to enter the slip for a 1-2-1. There's a lot of bad "gouge" out in the chapters about this. At the meeting this morning even the director said that both parties to a 1-2-1 should enter a slip on BNIC. I'm just looking for confirmation from the source (you!) that only one member need enter a slip for a given meeting. Yes, if a chapter is outside of the region - then currently online slips entry is not available yet. This is something to look forward to, though I am unable to provide a timeline. Currently there are a few different priorities the development team are working on such as the online renewals, and the migration of a few more countries into the system to make it complete. As far as 1-2-1 entries - when one person from the pair enters the slip, the system will give credit to both as this is how it is specified. When the other 1-2-1 pair also submits a slip for a 1-2-1 on the same date, the system will prompt that there is an existing record of it, however will not stop you from submitting, only now that it will add credit, previously was 1, now it will show as 2 episodes of 1-2-1s between the same pair. Perhaps during a 1-2-1, either one can agree to enter the slip, to save the other some time? As an end-user, what would your thoughts be on how this should be? Either one to enter to credit both, or enter individually? Some field input might be helpful. Sorry for the delay. I think that the Use Case of a duplicate 1-2-1 should be disallowed by Business Rule in the system. Duplicate is defined as same two people on the same calendar day. I fedback the rules above (only need one entry) to a senior-enough member. She said, "..but we still tell our people to both put it in. Just in case." Thank you for your valuable comments - I do see your point that changing established habits through training can be quite a task. So currently when a duplicate entry is made, the system will prompt, and give the opportunity to avert - which is the workaround. My colleagues from the Support Team are in this forum as well, and I will seek their thoughts, too if this needs a review from a business rule perspective. But remember, unlike turning a car, we could be turning a ship here and this could take time, even if the ship decides to turn. In the meantime, stay tuned, and once again thank you for keeping this forum going with constructive ideas. Will a future release of BNIConnect address the issue of GROUP One-to-One meetings -- so that multiple members can be selected in the "Met With" pull-down? Thank you! I second the motion to have "Power Team" and/or "Other Group" as an option for One-to-Ones! The online 1 to 1 slips were designed in a way to record a meeting between two individual members, which is in accordance with the BNI definition of a "One to One" meeting. As this was the agreed upon by the Project Board and participating National Directors, the ability to enter a "group" or "power team" meeting was not incorporated into the system. Therefore, although some regions do participate and encourage these meetings and offer PALMS credit for this activity, the recording of them would have to be done outside of the online slips. If at some point in the future the definition changes and\or this is recognized as a universal means of tracking a group meeting, this functionality will be considered for inclusion in BNI Connect. In the meantime, there would only be 2 ways I could suggest recording this information in BNI Connect. 1) Have pairs of people submit a single 1 to 1 slip to give them credit. 2) Submit a paper slip for the entire group and the VP will have to manually enter that credit into the PALMS report. I am not seeing the solution to this question and need help with it please: When I enter a one to one for a member and myself- while it shows up on the PALMS report, it does not show up on the other member's printed report for the week. Has this been fixed yet or is there a plan in place to do so? Members are challenged by not seeing the names and while it is very clearly showing up as the "number" of 1-2-1s, because the name is not showing up there is some confusion. Please advise. Thanks so much. I have two Draft BBI's or 1-2-1's that I have been completed but they don't show completed on the BNI connect. I have tried to edit them but they dont seem to want edit either. How do I fix this so they show completed? When slips are entered, they are put into the PALMS report queue for the next upcoming meeting. Once your chapter VP has completed and submitted the weekly PALMS report entry (to mark attendance and enter additional data, such as paper slips), the slips status will be changed to "completed". This usually happens within a week of the chapter meeting. If there are additional slips from previous weeks still appearing as DRAFT, please speak with your VP, Director Consultant, or Regional Office to discuss getting those past reports submitted properly. Note: in the case of a cross chapter referral, 121 or TYFCB, this is also dependent on the other chapter completing their weekly PALMS report. I had a one-to-one with a member from another region. Can I enter that? At this time, cross chapter referrals, 1 to 1's and TYFCB are limited to only those regions within a single "business unit". In some cases that will be a single region, in others it may be multiple regions with the same Executive Director. The reason "why" it is done this way is that there is still some inconsistency globally in the processing of online slips. Currently, there are still a few countries that will only begin using the online slips later this year. In addition, the ability to pass cross chapter is still a regional option. At some point after the whole world is both using the online slips AND allowing cross chapter activity we will be able to pass a referral globally. Although I do not have a time frame for when this will happen, we are all very much looking forward to this future enhancement! Jeremy, so this applies even to members who live in the same country? I am trying to enter a one-to-one. I live in NC, this other member is in VA.
CYD - yes, unfortunately - it is limited to a single "region" of BNI (all members under the same Executive Director). This is hopefully a restriction that will be lifted in the future!